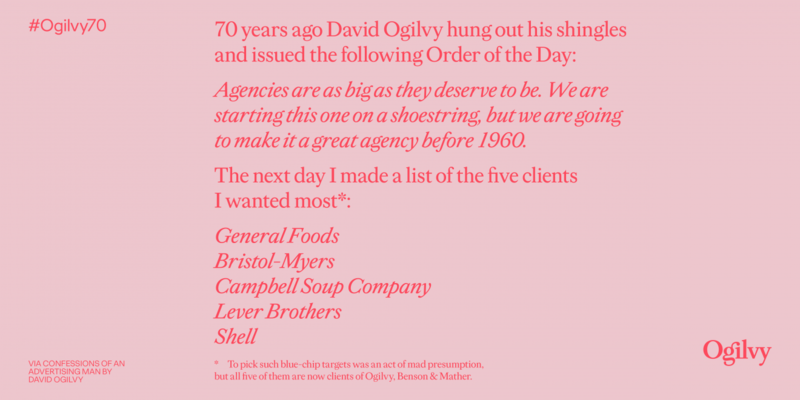 David Ogilvy founded the agency 70 years ago. 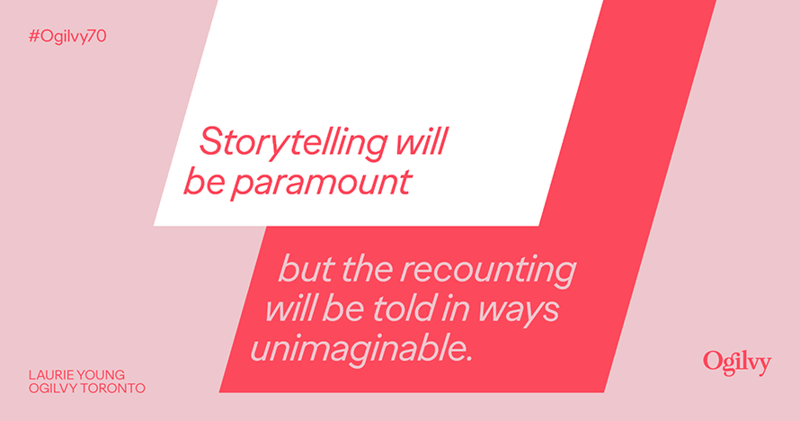 Sunday marked 70 years since David Ogilvy founded the agency that bears his name, but Ogilvy is celebrating this week by looking to the future. 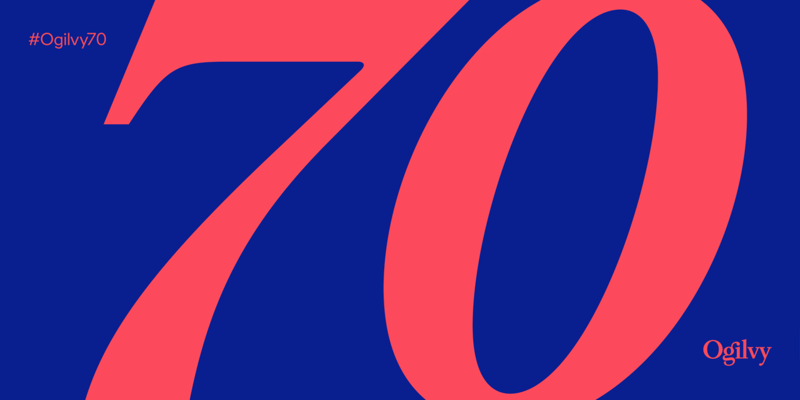 While the agency is taking a brief look back at its history, via a timeline, and sharing quotes and memos from its founder, the majority of the agency’s 70th anniversary will be squarely focused on the next 70 years. 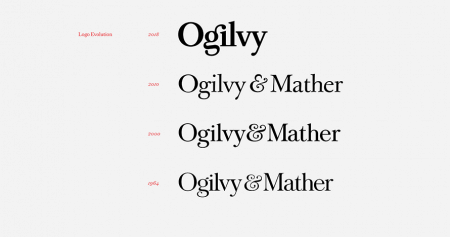 Ogilvy chief communications officer Jennifer Risi told Adweek Ogilvy is “very uniquely positioned” as one of the industry’s oldest agencies, adding that it utilized its brand repositioning in June to help with the anniversary celebration. 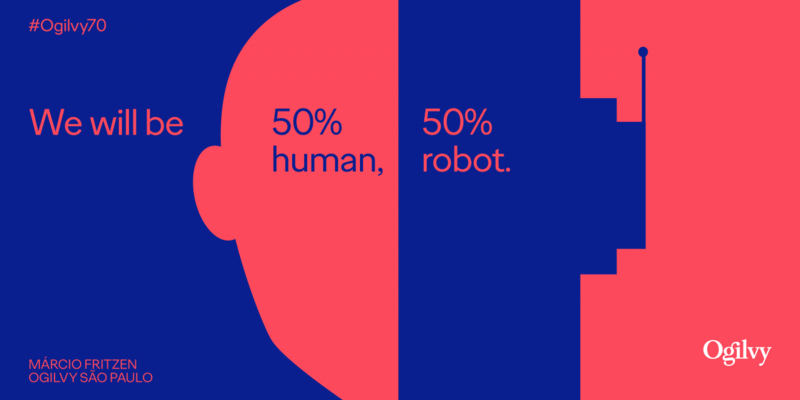 The agency will showcase the evolution of its logo as a way to “segue into the future,” Ogilvy Worldwide head of social media and content distribution Adam Kornblum explained. 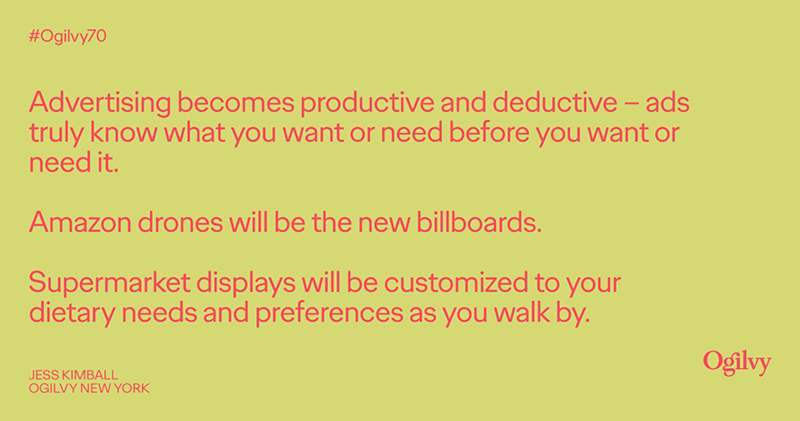 So the agency asked employees to make predictions about Ogilvy to represent in the future and what they’d like it to be. 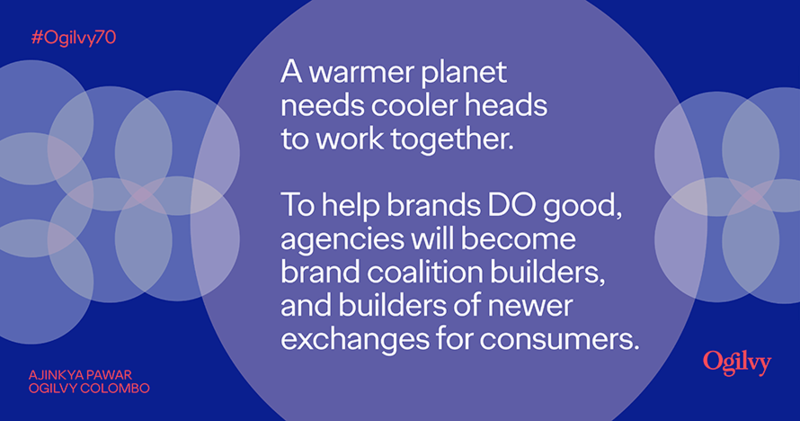 The agency’s look forward will also include a Twitter poll about where the industry will be in 70 years, something that simultaneously honors Ogilvy’s roots. Following the agency’s brand repositioning, Ogilvy looked ahead to 2020 and pledged to hire 20 women in senior creative roles by the end of that year as part of a commitment to diversity.